Blane Chocklett's Gummy Minnow is truly innovative. Made from a new soft, reflective material called "Sili Skin", this fly looks and feels like a real baitfish! This fly has produced some great catches for anglers targeting bonito & false albacore, as well as stripers, snook, and more. 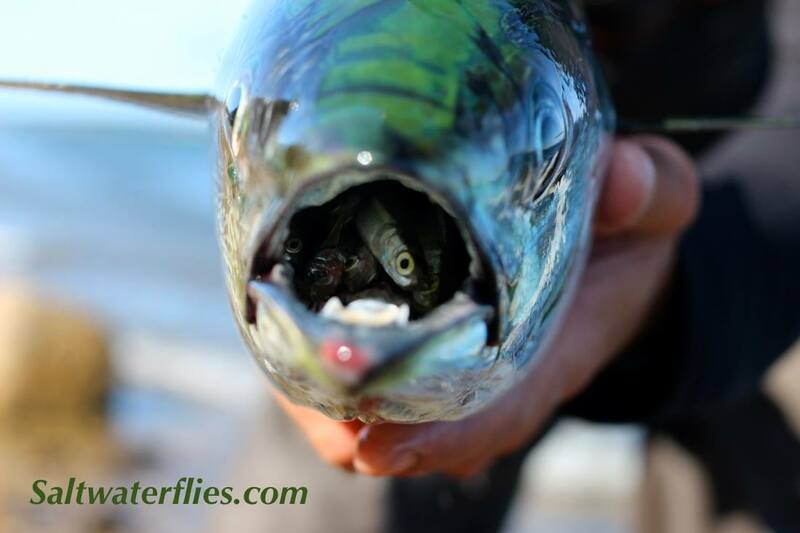 These flies have been deadly on both bonefish and tarpon in some locations... Note that if you want to use these for tarpon, then we highly recommend the "Big Game" Gummy, as this fly is tied on a stronger hook than the standard version. 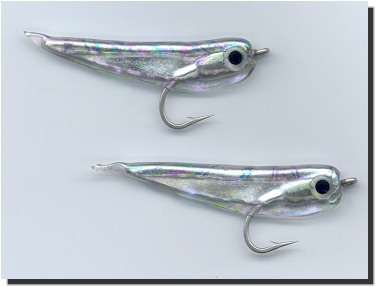 This fly is a great choice to imitate Silversides and Bay Anchovy baitfish for the fall run of bonito and false albacore that happens from the mid-atlantic up to New England in the United States in late summer & fall. #2 size flies shown above - click here to see a photo of the #6 size. 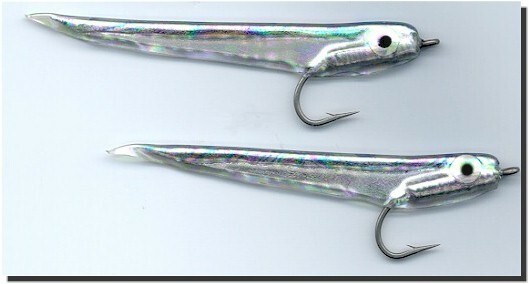 The Gummy Minnow is tied on the Tiemco 811S hook; size #2 or #6. The #2 fly is approximately 3 inches (7.5 cm) long...the #6 fly is approximately 1 3/4" (4.5 cm) long. The Big Game Gummy is tied on the Tiemco 600SP #2 hook, and is about 3 inches long. Fly design by Blane Chocklett - Tied by Umpqua Feather Merchants.